Pure Cocoa Butter enriched with Vitamin E & other natural emollients, provides a deep penetrating treatment for the feet. This unique formulation moisturizes, softens & smoothes even the roughest driest skin. It contains Peppermint Oil & Mango Butter. The addition of Peppermint Oil revitalizes sore, tired feet. Explore the entire range of Foot Creams available on Nykaa. 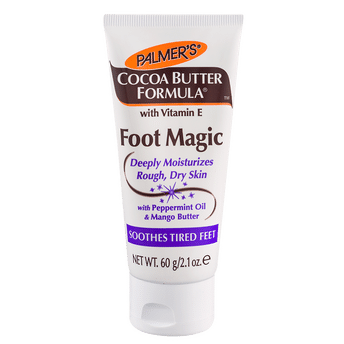 Shop more Palmer's products here.You can browse through the complete world of Palmer's Foot Creams .